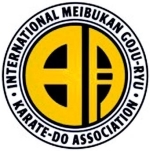 Back In The Gi » Blog Archive » Ryuism. Nice! This is one of the biggest mental road blocks a martial artist can encounter I think. It’s ok to love an art, but not to the point where all other things MUST be wrong.